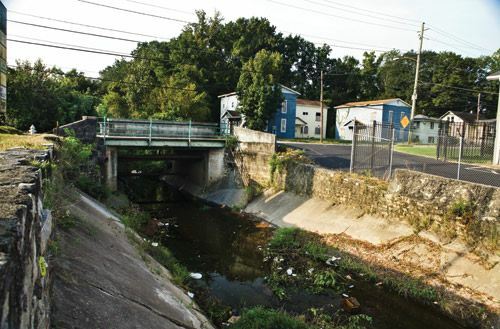 As part of the EPA’s Urban Waters program, three Atlanta organizations received funding to promote the restoration of the Proctor Creek Watershed and support community improvements in the surrounding neighborhoods. Two of the HERCULES community stakeholders, West Atlanta Watershed Alliance and Environmental Community Action, Inc., are among the recipients. Center for Watershed Protection, Inc., which includes the City of Atlanta and West Atlanta Watershed Alliance on their project team, will work to reduce pollutants in the watershed while also integrating a community-based water monitoring program to provide a sustainable, cost-effective and long-term solution to pollutant reductions. Environmental Community Action, Inc.’s plan focuses on decreasing the amount of contaminated runoff reaching downstream communities by improving water management at the Atlanta University Center campuses. The project is designed around collaboration and conversations between academic and community leaders in order to better understand the impact of storm water and sewage flows into the Proctor Creek residential communities. The third recipient, Chattahoochee Riverkeeper, Inc. will work with community partners to engage community residents with the goal of accomplishing measureable water quality improvements within the watershed. The program will involve water quality education and community-led water sampling and analysis where participants will learn how to interpret results. All three awards demonstrate the commitment of the Proctor Creek residents to improving their neighborhoods. Congratulations to these three groups and the Proctor Creek communities!